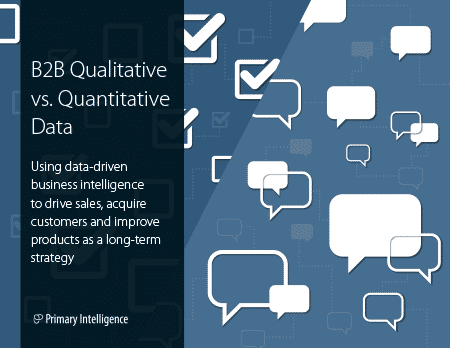 Learning the difference between the benefits of qualitative and quantitative data and when to use them can keep your business strategy from seeming like a series of impulsive moves. Using data-driven business intelligence to drive sales, acquire customers and improve products as a long-term strategy. If you're not using qualitative AND quantitative data to improve your sales opportunities, you're flying blind. You wouldn’t make a high-dollar business purchase without reviewing the data, right? Without research, rating assessments, and an evaluation, you know it could be a costly mistake. Running sales, marketing, and product departments without qualitative and quantitative data is like making an impulsive and expensive purchase. You just wouldn’t do it. But the question is: do you have enough information, the right data, to make these critical decisions?